home/ » HOW ARE MODULAR HOMES DESIGNED? HOW ARE MODULAR HOMES DESIGNED? One of the most beneficial features of a modular home is that it can be designed to your own specifications. The latest state of the art technology is used to create an accurate floor plan of your dream property. However, there are several considerations with regards to restrictions and logical interior choices which you should consider before committing to this type of house design. Here is everything you need to know about modular home design. Computer-Aided Design (CAD) allows the customer to create a floorplan of a modular home to their exact specification. They are fully customizable, and they can include the customers desired features, but must specify the exact measurements of each room in the home. This can relate to both the interior and exterior of the property. Predominantly, the design of modules in a modular home is produced with AutoCAD. Computer Aided Design makes it possible to customise floor plans, produce drawings and material requirement lists. These renderings and elevations of the modular home will then be sent for approval. If you don’t want to design the property yourself, then you can get the help from a drafter, who can help prepare technical drawings and details for your modular home. There are many beneficial reasons to use Computer-Aided Design to create a floor plan. It has a higher accuracy and consistency within its design. As you are part of the design process, you can choose a design which suits your existing furnishings and land. This allows you to have more freedom when choosing the design of your home. Another beneficial reason for modular house design is that you can customise it to your own budget. For example, it is possible to choose cheaper materials without necessarily compromising the quality of the build. Modular buildings are more air-tight, which makes them more insulated. This makes them more energy efficient as they have optimum temperature control. To get the most out of the design process, it’s advised that you should already have a visual idea of what plan should look like. You will need to consider providing an allowance in the specifications if there are any misalignments discovered during the construction process. You should try to think about the logistics of where everything is placed. For example, think about the placement of each electrical socket, window, and door within each room of your property. Ensuring this is accurate will avoid any future inconveniences. As modular homes tend to be more air-tight you may want to consider whether you will need to have vents installed. It is recommended that you have one installed in each room of your house as this lowers the chance of condensation build upand water damage. Make your decisions fully planning with the future in mind, as this can help create a house built to last. What is the possible height, widths and lengths restrictions of modular homes? Are there any existing plans available which I can modify? Is it possible to remove walls without collapsing the structure? Having these sorts of answers will help you further down the line. There are notable restrictions during the entire process, not just during construction. For example, there may be shipping restrictions and production constraints which could potentially affect the design of your home. You will need to look at everything in detail. If you add too many windows to the building, it can threaten the structural integrity, which means it will be less secure. Due to these restrictions, it might be worth considering getting your design approved by an external company before sending it off. Slight modifications at this point can be far cheaper than further down the line. If you are struggling for ideas, you have found out your home cannot be built, or need inspiration, it is possible to ask dealers to show you existing plans of other modular homes. Once the design is completed, then the manufacturing process begins. Why not try lightweight steel roof tiles? When deciding which material to use for the roof of your modular home, why not consider lightweight steel tiles. Metrotile’s lightweight steel roofinghas become a popular material for modular home tiling due to their strong durability and energy efficiency. 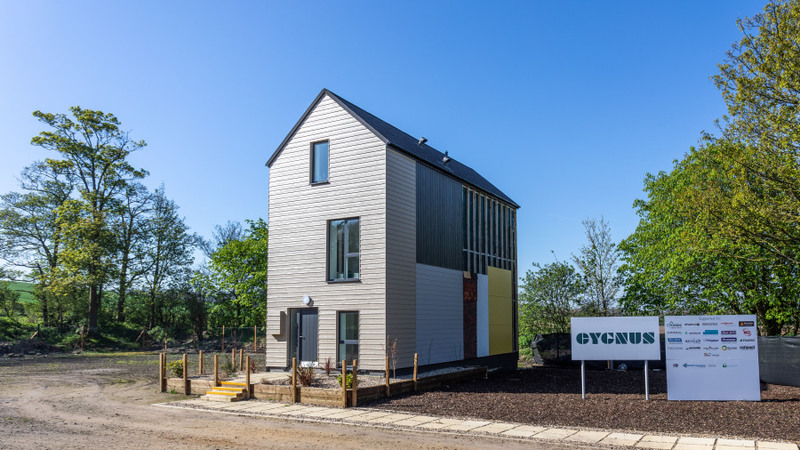 Metrotile are a member of The Modular & Portable Building Association (MPBA) and have continually shown commitment to the modular building industry.Metrotile have been previously the choice of companies such as PassivHaus Trust, Cygnus Homes, andIlke. If you have been considering opting for a modular home, Metrotile can offer high-quality roof tiles which can enhance your property. You can request a free quotation onlineor call us on 01249 658 514.